Fertile MN (February 7, 2017) - Christian Brothers Racing shifted gears again this past weekend, with the cross-country team heading to Sault Ste. Marie, Michigan, to compete in the Soo I-500 which took place on Saturday. Run on a one-mile ice oval, the Soo is one of the oldest and most prestigious snowmobile races in the sport. The 500-mile event rewards endurance, race strategy and machine setup. 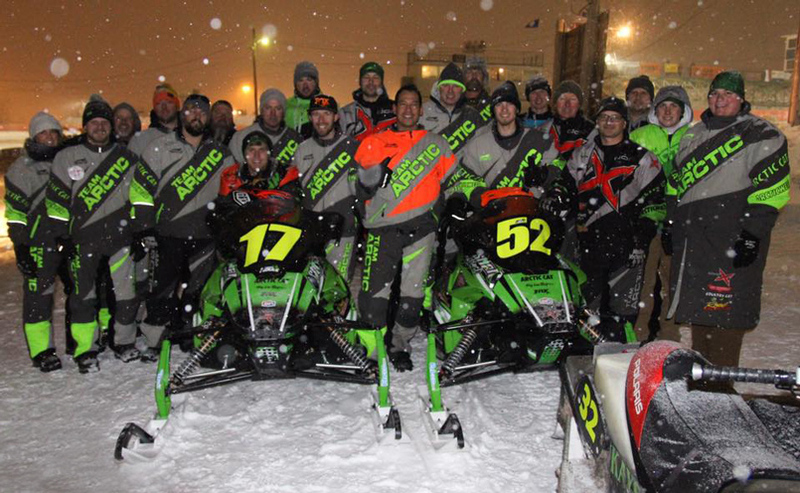 Christian Brothers Racing fielded two snowmobiles at this year's event, the No. 17 piloted by Zach Herfindahl and Wes Selby and the No. 52 ridden by Ryan Trout and Re Wadena. The No. 52 qualified 7th and the No. 17 was slotted into the 12th position. The race began at 10AM and finished under the lights and when the checkered flag flew the No. 17 was in 2nd place, 11-seconds behind the leader. The No. 52 took the 3rd step on the podium, two laps down from the leaders. "Overall the Soo was very good," said Herfindahl. "We couldn't pull off the win, but we had a solid week and finished 2nd and 3rd after 500-miles, that's nothing to be ashamed of. Overall we're happy with the outcome." This year's Soo was Trout's first, and, for both him and his teammate Wadena, it was a good one. "The no. 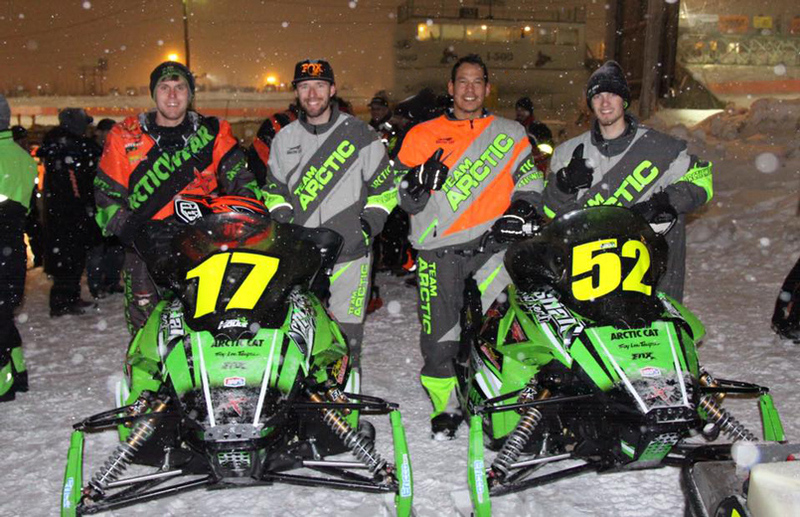 52 sled was working really well and it was fun to be able to work my way to the front," Trout said. "Overall, Re and I led over 70-laps combined. It was his first finish and my first Soo, so it was really good for us and the team." Fresh off the Winter X Games in Aspen, Colorado, the snocross team traveled to Salamanca, New York, to kick off the second half of their National schedule. With Logan Christian sidelined by a broken collarbone, Jacob Yurk was left to fly the team flag solo in the Pro Lite class. Yurk struggled through Friday's racing, but a heat win on Saturday vaulted him into the final where he finished 10th. "We had trouble getting good starts this weekend," said Yurk. "Our speed was there but without good starts the results weren't where they need to be. More hard work and we will come out swinging in Michigan." Next up for the Christian Brothers Racing cross-country team is the USXC Seven Clans Winnipeg to Bimidji, February 8-10. 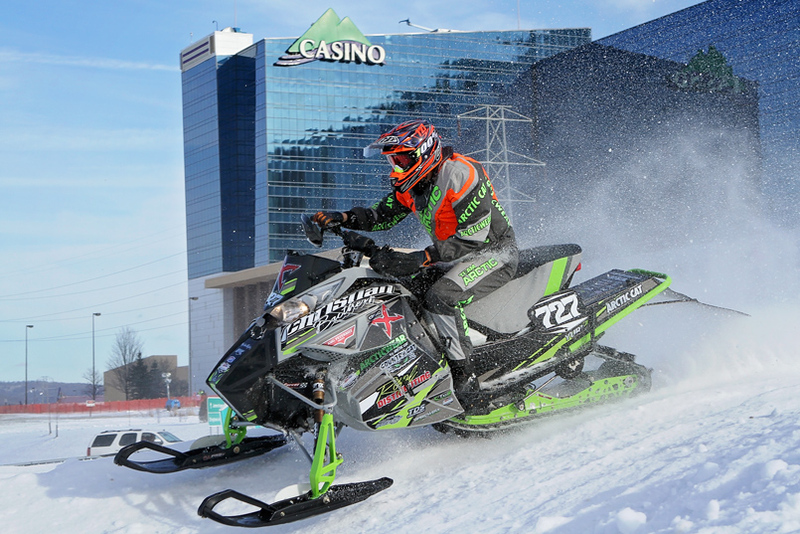 Next up for the Christian Brothers Racing snocross team is the Soaring Eagle Snocross National, February 24-25, in Mt. Pleasant, Michigan.